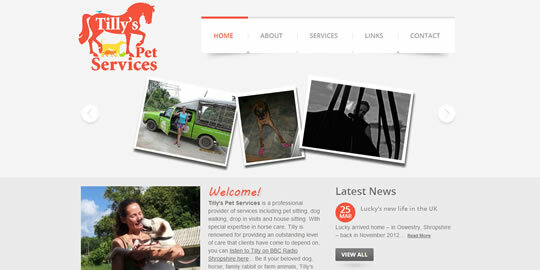 Tillyspetservices.co.uk was created as a platform for Tilly Jones to sell pet care services to people in and around Oswestry, Shropshire. By following a strategic online marketing plan put forward by us, within months of launching the site – and her business! – Tilly was receiving regular referrals from website visitors. From start to finish, I was extremely happy to have chosen Dupoi. I got exactly the site my new business needed and well within budget.